Jamie's Animal Rescue - Donate and Help Save a Life! 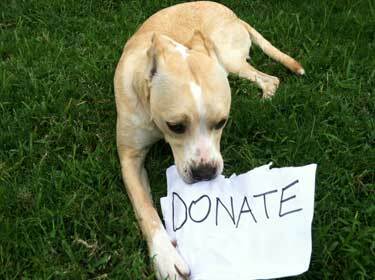 JAMIE'S ANIMAL RESCUE is an all-volunteer, 501(c)(3), non-profit organization. Your donation goes 100% to the animals and helps provide a full spectrum of care, including: vaccinations / spay & neuter / medical treatment for heartworms, broken bones, mange, Parvo, Distemper, etc. / necessities such as food, crates, leashes, collars, treats, toys, microchips, and much more. Your donation has a huge impact on what we do. Your generous support allows us to save more animals.